Four zones have been identified in Walla Walla, WA to receive PocketiNet’s ultra-high-speed Gigabit Internet to residences. Walla Walla, WA, September 1, 2015: Walla Walla Washington, known for sweet onions and wine is about to add another claim to fame; Gigabit Country. Once installed, Gigabit Country residents will have the fastest download and upload speeds available and the capacity to go even faster as new technologies become affordable and/or available. Most homes in the United States have an average of eight Internet connected devices, such as desktop and laptop computers, smart phones, tablets, HD televisions, DVD and Blu-Ray players, dedicated video streaming devices, home automation and security hubs, including a growing number of household appliances. PocketiNet’s Gigabit Country Fiber-to-the-home will be able to serve each device simultaneously with unprecedented speed and clarity. Thanks to PocketiNet, Walla Walla (with neighboring College Place) will be the first rural community in the state of Washington to enjoy the benefits of Gigabit FTTH built without State or Federal Funds. With less than 5% of U.S. homes connected to fiber this is a significant development for a rural community. PocketiNet is set to accomplish this initiative without state or federal funding which is very unique in the U.S. By utilizing private funds and cost effective cutting edge equipment, PocketiNet is able to move as the market demands and serve customers efficiently in a fiscally responsible manner. The process of bringing FTTH to the Walla Walla Valley is being done much the same way Google has managed the process in larger cities. 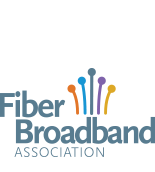 Neighborhoods, known as fiberhoods, qualify for service based on a friendly competition of interest. The more interest in a zone, the faster FTTH can be installed. ­­­­­­­­­­PocketiNet Communications is a locally owned and operated broadband Internet and Home Security service provider. Founded in April of 2000, PocketiNet serves the Mid-Columbia Basin from Walla Walla to Yakima, WA, south to Umatilla, OR, and all points in between. In the competitive market of broadband Internet service providers, PocketiNet has positioned itself above the competition by actually delivering on its promises: speed, reliability, value, dedication and customer care.